The founders of Glory Power Ministries (GPM), Don and Myrna Paprocky, moved to South Africa as missionaries in March of 2005. They had heard of the millions of people, including a multitude of orphans, who were suffering from hunger, poverty and/or HIV/AIDS in South Africa. GPM was originally established to help orphans, widows, refugees and the poor in South Africa, and subsequently the ministry expanded to include helping in other countries around the world. Don and Myrna started ministering in South Africa in a large shanty town in the central part of the country. They shared the gospel of Jesus, ministered to and gave food and clothes to orphans, HIV/AIDS patients and the destitute, preached at churches and youth conferences, and taught seminars. Then God led Don and Myrna to move to Limpopo province in the northeastern part of South Africa, one of the poorest areas in the country, where they were told that they were the first full-time missionaries in the area in over 30 years. 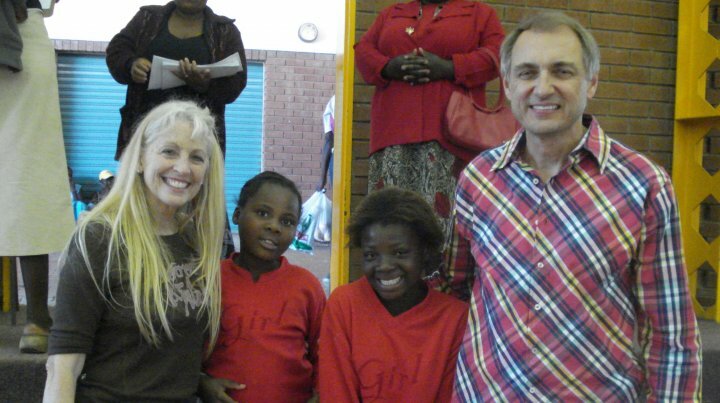 Don and Myrna went into the villages sharing the love of God in Christ Jesus and giving food, Bibles, clothing and necessities to thousands of orphans and destitute and also to refugees who fled to South Africa from Zimbabwe and Mozambique. Don and Myrna have now established five GPM Centers in South Africa from which much of the ministry of GPM is now being done there. The pastors and volunteers keep the ministry in South Africa running with continued preaching, teaching and humanitarian aid to many orphans and destitute. GPM has built church buildings and homes for orphans in South Africa and has established a farm to help feed many orphans and destitute. After three years of ministering in South Africa, God opened up the door for Don and Myrna to minister in the country of Ukraine. Don is of Ukrainian descent and speaks the language fluently. Don and Myrna have a heart for the orphans in Ukraine (over 100,000 orphans in mostly government-run orphanages) and for the children living on the streets (estimates of up to 300,000 children). While in Ukraine, Don and Myrna ministered in Christian orphanages, to street children, to teen boys in prison, at a drug rehab center, as well as preaching in churches. GPM has staff in Ukraine who help GPM’s work in and support of two Christian orphanages and orphans in prison. GPM also helps support ministries and orphans in other parts of the world, including Zimbabwe, India, Israel, Pakistan, Kenya, Uganda and El Salvador, bringing hope to thousands and making Jesus more famous! Don and Myrna are currently in the United States where GPM is running the GPM Bible Institute (founded in 2014). Don is currently teaching pastors and church leaders in South Africa and Zimbabwe via Skype. GPM has been ministering in the United States through preaching and teaching in churches and conferences, counseling, mentoring and helping the poor. Don and Myrna are ordained and licensed ministers, and Don has a Master of Divinity degree and is currently working on his Doctorate in Ministry. 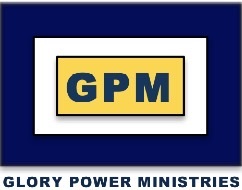 TO DONATE TO THE WORK OF GLORY POWER MINISTRIES, CLICK HERE.